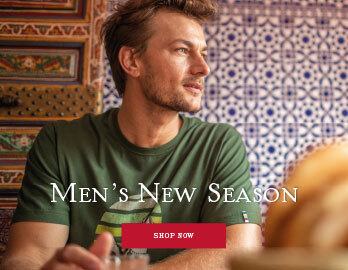 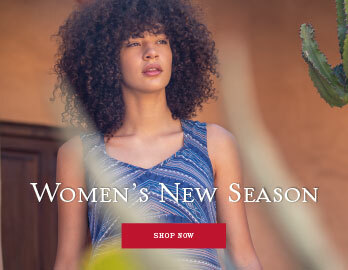 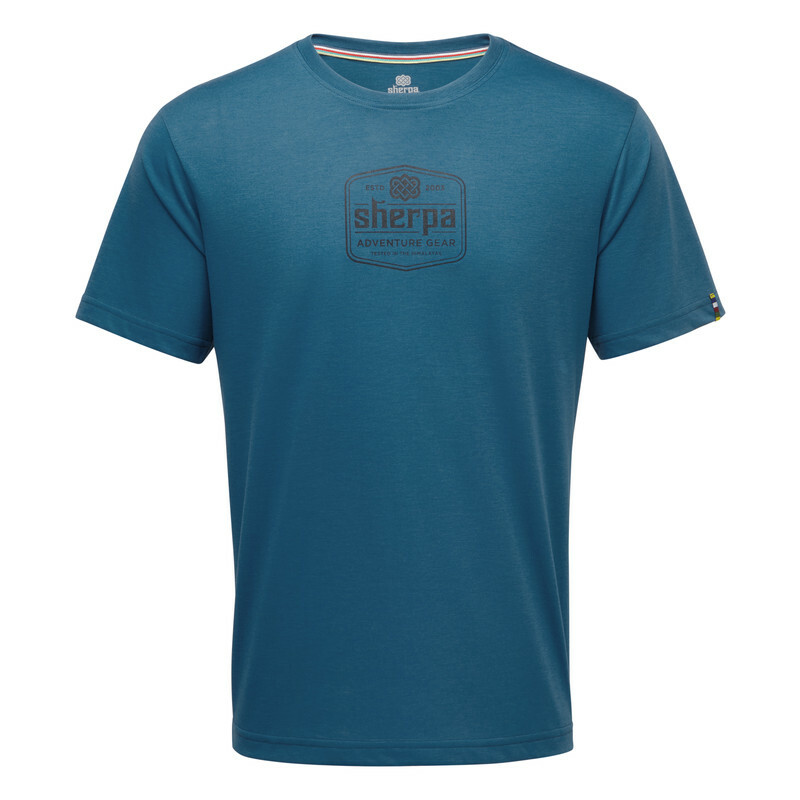 Made for the mountains, the Tashi Tee in Raja Blue is the perfect companion on your next adventure. 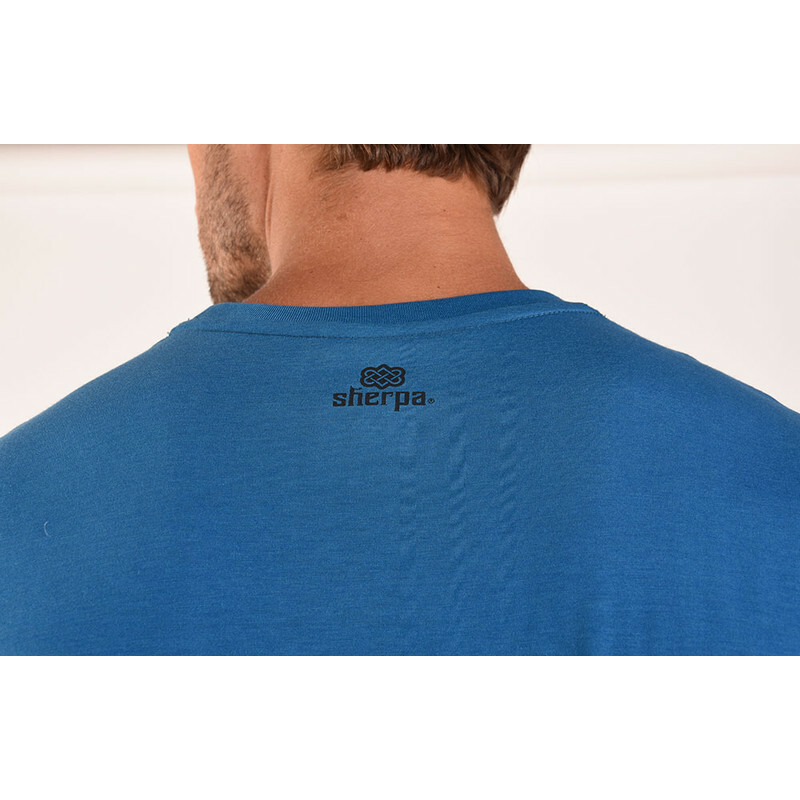 Whether it be for every day wear, or an expedition, this drirelease® fabric will ensure you stay cool and dry with its moisture-wicking technology. 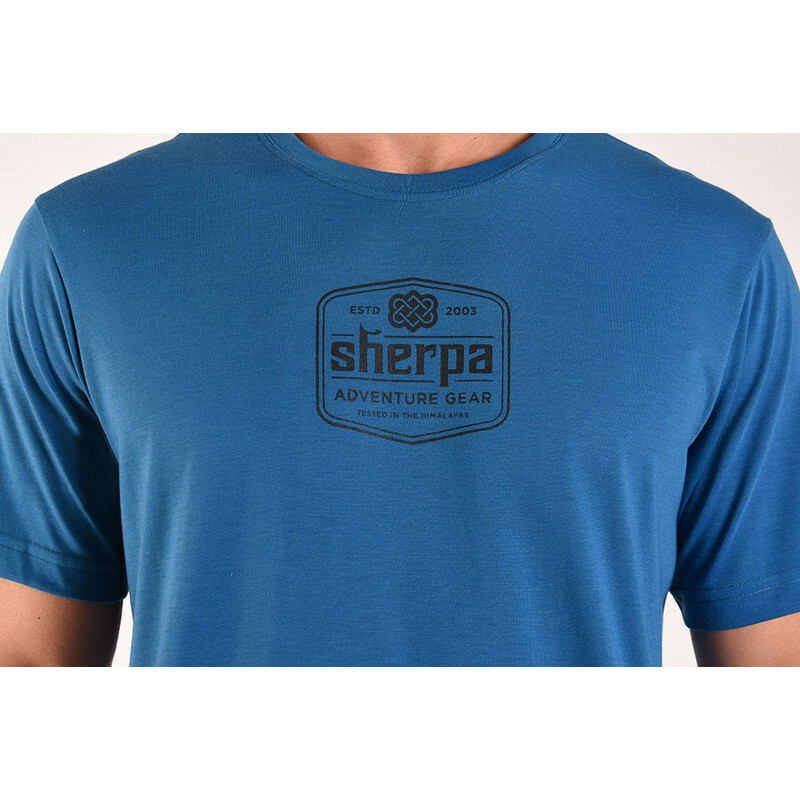 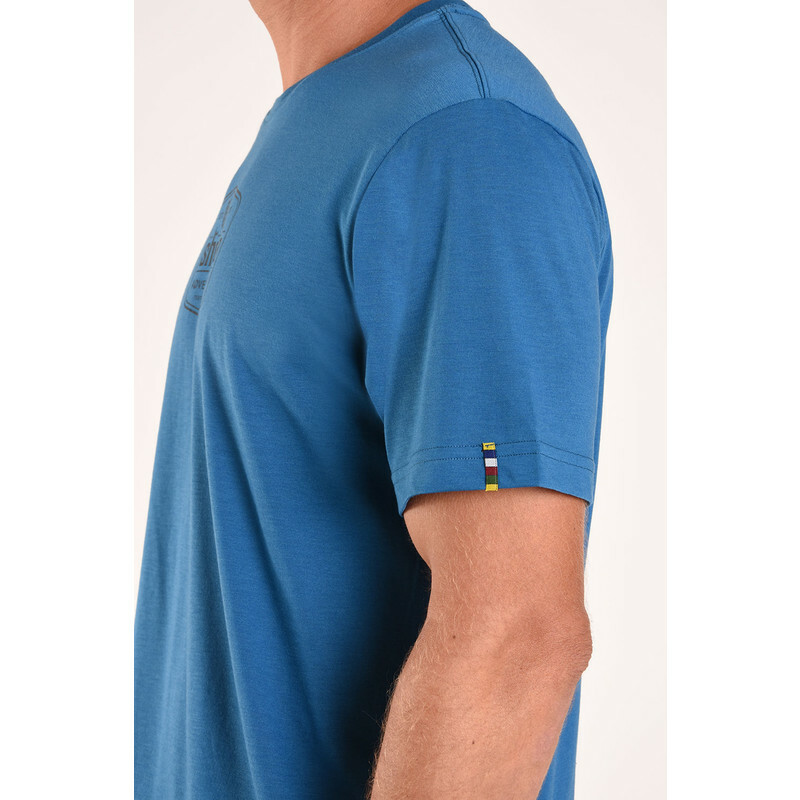 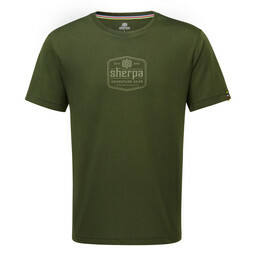 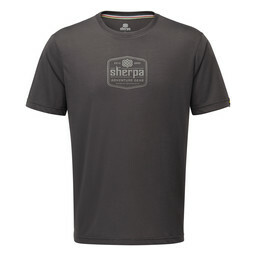 The Sherpa Logo and colourful prayer flag tape adds an element of our Himalayan heritage.